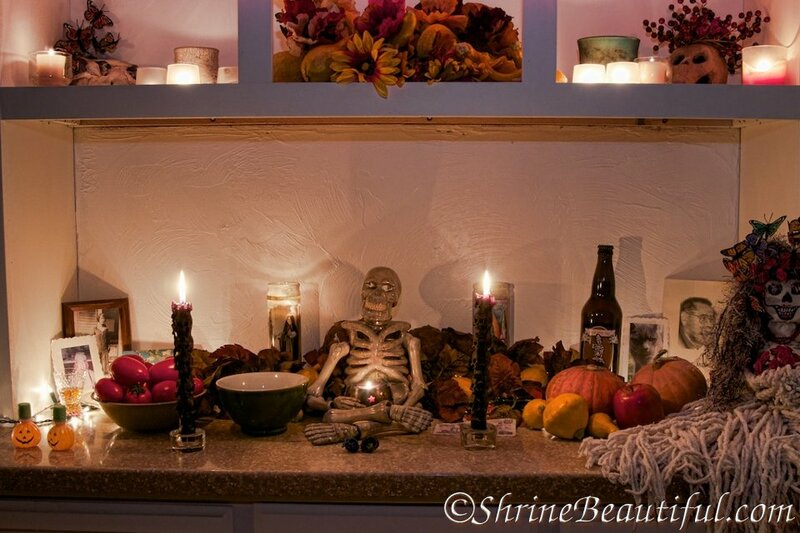 All the veggies on the altar were grown in my garden and are made into a stew in the days after the party. 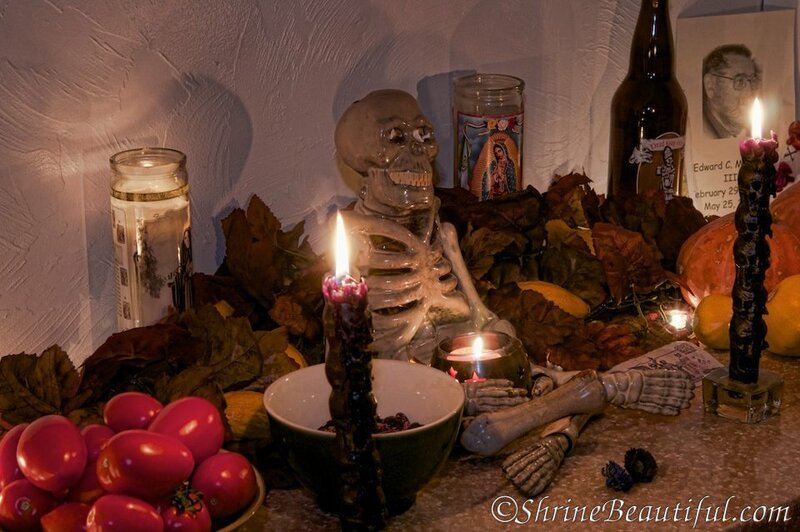 Eating the offerings to the dead is an important part of the ritual and completes the circle, as it were. 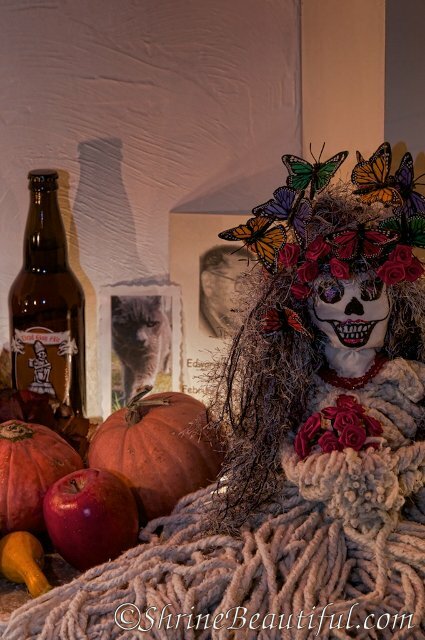 “While I borrow shamelessly from the Dia de los Muertos traditions of Mexico and elsewhere in Latin America, I’m not of Latin descent myself. I describe my path as “earth-honoring pantheist”, although I’m really no kind of theist. I don’t work with god-forms at all. I live in the northwest corner of Washington State. 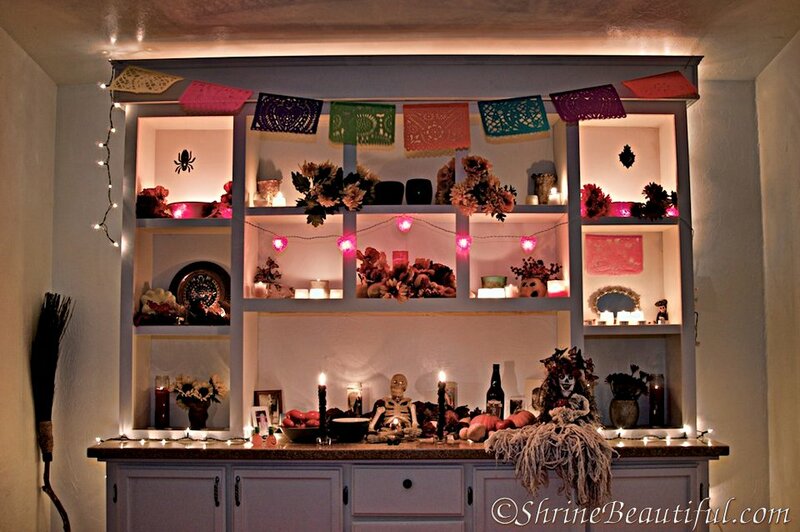 This entry was posted in Ancestor, Eclectic, Holiday / Festival and tagged ancestor, Day of the Dead, Dia de los Muertos, transitions by helmsin2. Bookmark the permalink. 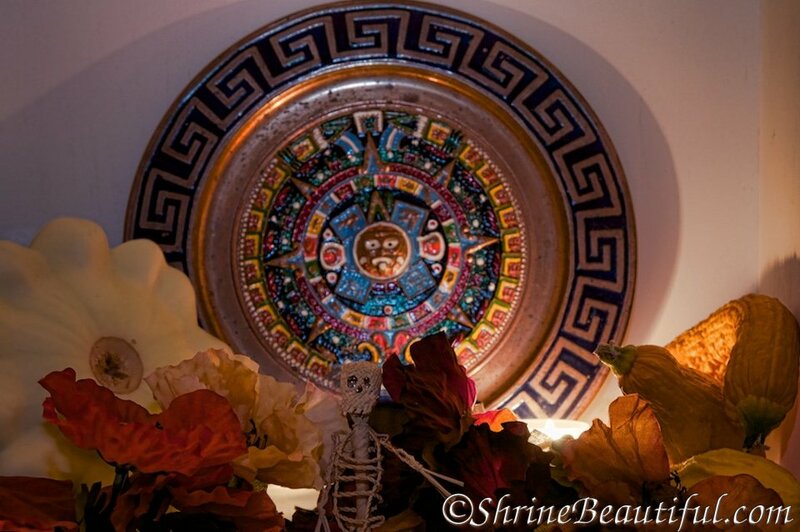 Like ShrineBeautiful? Give it a boost!